Too many to list on both counts! I love to read for pleasure and for my professional life. 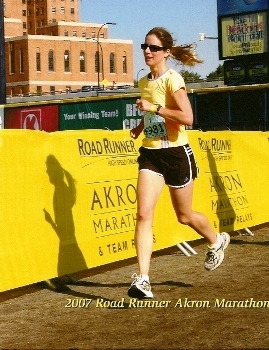 I had the fortune to run in college and won the NAIA national marathon my senior season. It’s a treasured memory, even though my competitive years are only a small part of my relationship with running. It’s an opportunity to give back to the sport that I love and help people reach their individual goals. I’m new at this, but have informally paced friends for years. 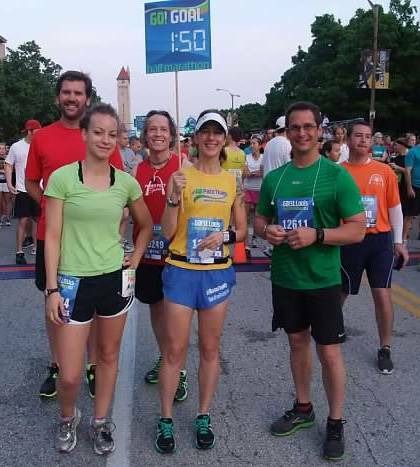 It’s great to be able to get to know other runners and help set a pace for them to reach their goals. Steady pace, friendly encouragement, fun! Remember that it’s all about going against your natural urges. Hold yourself back at the beginning when you’re feeling good, and push yourself to keep the pace as you begin to get tired toward the end.